This handmade patchwork fabric comprising of an intricate mix of luxury satin, taffeta, dupion, jacquard, raw silk, lace, ribbon, beading and flowers mounted and worked in to heavy weight cottons and used with specialist corsetry fabrics creates a really conversation stopping, glorious silhouette. This is a brilliantly simple, elegant and versatile corset. It is one of our favourite types of corset for everyday wear or underwear because they are so comfortable and adaptable to any situation. 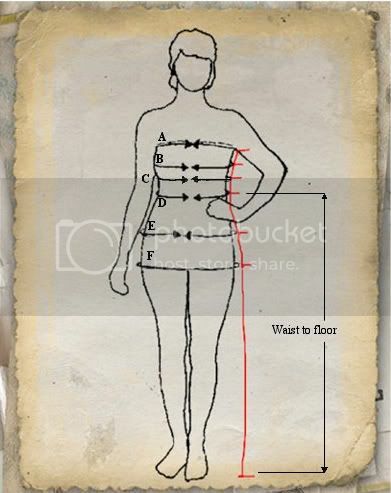 Taken from a historical pattern and adjusted specifically to each of your measurements creating the best fit and most flattering shape for your unique body. This corset can be made in a variety of colours and fabrics. To personalise it to your individual wishes please contact us for more information and pricing.